Hasegawa’s take on the Ma. 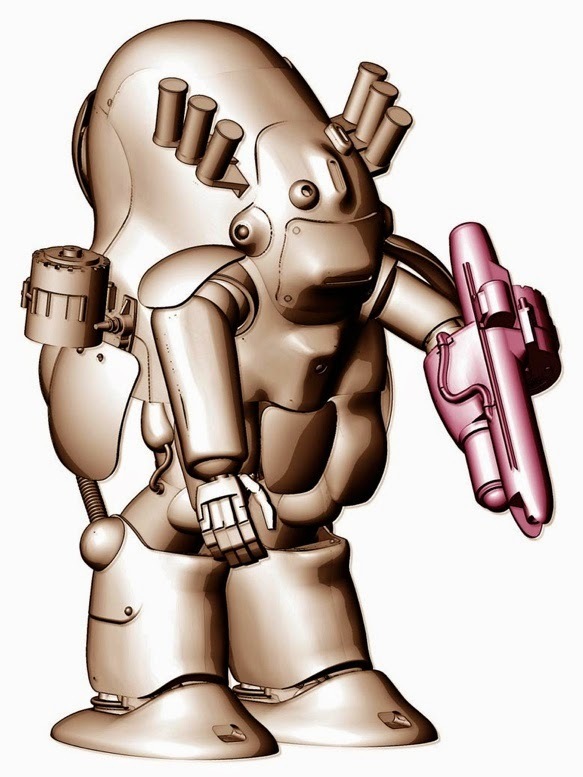 K (Maschinen Krieger) sci-fi universe, first created back in the 1980s by Japanese artist Kow Yokoyama, is steadily growing, with new figure sets now available to 1:20 scale. The latest kit is the Limited Edition 1:20 scale Mk 44 (header) for which Hasegawa is taking orders. It looks an interesting addition to the Ma. K universe, of which the blurb reads, "In the dark, futuristic world of Maschinen Krieger (Ma. K) most of the Earth's peoples have been burned to radioactive dust and ash by the world-shattering nuclear exchanges of World War IV. However, nothing is forever, and as life returns to the globe, discord also reappears, and warfare erupts in its wake. "Among the Ma. K combat scenarios, the power-suited soldiers of IMA forces struggle against the roving robots of the SDR, making innovation and adaptation keys to an IMA victory. "New on the field of battle are two weapons, a sophisticated smart-gun and a fixed arm-gun, both designed to blow apart mindless SDR techno-constructs at maximum range." 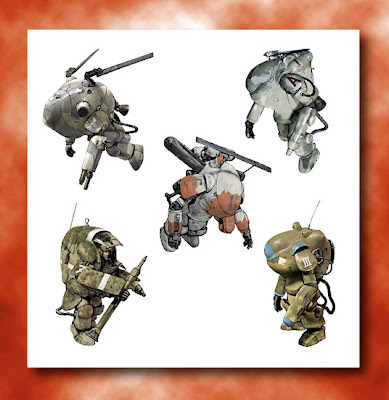 This latest Hasegawa kit combo features two powered suits, each with smartgun attachments. 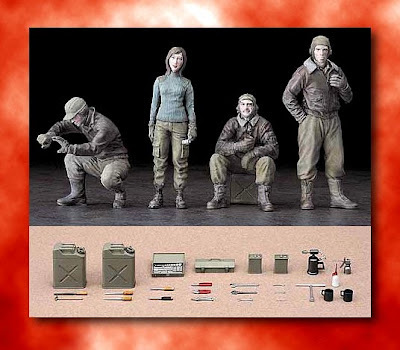 Ma K Hasegawa kits include different types of power suit (above) and a neatly sculpted set of Mercenary Troops Maintenance Soldiers (below) featuring three men and a girl. The figures come with a set of tools and other bits and pieces, including fuel cans, screwdrivers, spanners - even a pair of coffee mugs. The dress code seems more like World War II Stalingrad than a far future world, but not to worry, the figures look neat enough to pass muster in a fantasy story.